Due to years of practice and experience in the market, we manufacture and supply designer selection of Articulated Boom Lift that is made up using quality secure raw alloys and superior technologies. This boom lift is developed using heavy duty cast iron alloy adhering to industry norms. Such fabrication makes it reliable, stable, and provides clients a long service life. 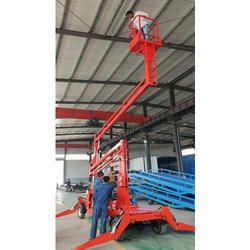 We are amongst the reliable and most trusted providers of top quality Articulated Boom Lift. Our provided lift is offered in numerous models in wide-ranging variety of sizes and capacities as required by our clients and is easily available at rock bottom rates. 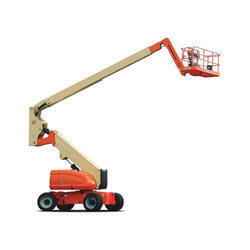 Boom lifts, also known as cherry pickers, provde access up to 43 metres, as well offering horizontal outreach above obstacles.